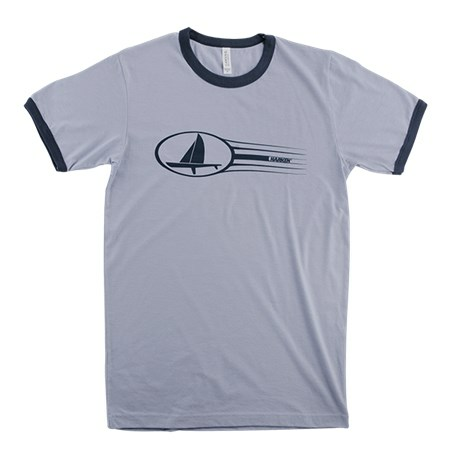 The 1976 retro tee was a five days a week favorite of Peter Harken. Lightweight cotton/poly blend. Short sleeve ringer styling. Blue heather with navy trim.